Let’s just throw it out there- no one likes meetings. Even worse than meetings are inefficient meetings. You know, the kind where no one really knows why they are there. The kind that run a half hour longer than scheduled but everyone still leaves not knowing what the next steps are and who is doing what. Want to know what the worst part is? Inefficient meetings spawn more inefficient meetings. Since no one knows what the next steps are, another meeting gets scheduled to figure that out. Then a meeting to check-in. Then a meeting to determine next steps. Before you know it, your day is full of meetings that don’t actually lead to decisions getting made or action being taken. I know, it’s the stuff of nightmares. But what can you do? Create and distribute a meeting agenda at least two days in advance. Sending out the agenda in advance is not only courteous, it’s necessary. The agenda sets the stage for the meeting- it tells everyone why you are meeting and gives team members a heads up to prepare for the discussion topics. Importantly, two days’ notice also allows team members time to provide input on the agenda topics. Don’t skip this step! Make sure the right people are invited to the meeting. Not everyone needs to be at every meeting. This is where creating that agenda ahead of time is also incredibly helpful. If the discussion does not involve a staff position, there is no need to invite them to the meeting. Rather, send them the meeting minutes and invite them when they need to be in the room. For example, if your team is responsible for planning a fundraising event for your organization but only plan to discuss catering and décor during an upcoming meeting, perhaps the team member responsible for stewarding corporate sponsors does not need to be in that particular meeting. Making sure the right people are invited also helps limit discussion and keeps the meeting running on time. There are three key roles that help make team meetings more efficient and effective. First, is the facilitator. This is most likely the person who called the meeting and sent out the agenda. Second, is a timekeeper. The team member facilitating the discussion should not also be the timekeeper. This person is essentially responsible for making sure the meeting does not stretch beyond the allotted time. Lastly, a scribe. The scribe is responsible for taking minutes during the meeting that can be sent out to the team afterwards. As you move through your agenda, make sure that any action items that get discussed are assigned to a specific team member. During your next related meeting, review old business. For meetings that occur on a regular basis, review old business before moving on to the agenda for the day. Ask staff who were assigned tasks at the last meeting to report on their progress by email before the next meeting. Then, briefly review the updates for the team. 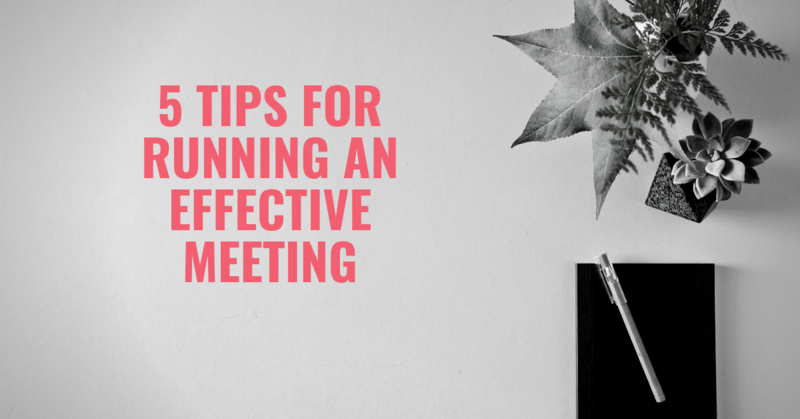 Meetings may never be our favorite thing in the world, but by incorporating the above tips, you can make them less painful. AND you’ll look like a super boss the next time you run a meeting with this FREE meeting minutes template.